Baracoa is a municipality and city in Guantánamo Province near the eastern tip of Cuba. It was visited by Admiral Christopher Columbus on November 27, 1492, and then founded by the first governor of Cuba, the Spanish conquistador Diego Velázquez de Cuéllar on August 15, 1511. It is the oldest Spanish settlement in Cuba and was its first capital (the basis for its nickname Ciudad Primada, "First City"). 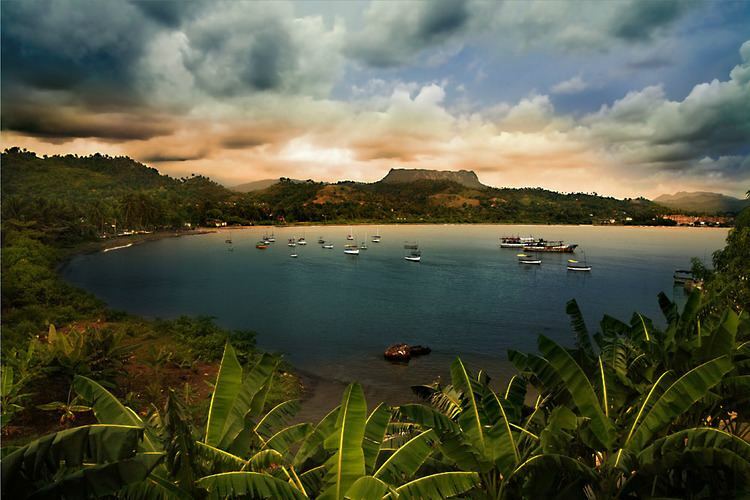 Baracoa is located on the spot where Christopher Columbus landed in Cuba on his first voyage. It is thought that the name stems from the indigenous Arauaca language word meaning "the presence of the sea". 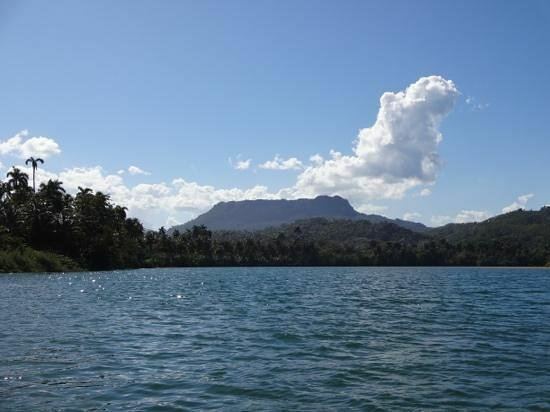 Baracoa lies on the Bay of Honey (Bahía de Miel) and is surrounded by a wide mountain range (including the Sierra del Purial), which causes it to be quite isolated, apart from a single mountain road built in the 1960s. The original inhabitants of the island were Taíno. They were eradicated by European diseases throughout the island. A local hero is Hatuey, who fled from the Spanish in Hispaniola and raised a Taíno army to fight the Spanish in Cuba. According to the story Hatuey was betrayed by a member of his group and sentenced to burn at the stake. It is said that just before he died a Catholic priest tried to convert him so he would attain salvation; Hatuey asked the priest if Heaven was the place where the dead Spanish go. When he received an answer in the affirmative he told the priest that he would rather go to Hell. Christopher Columbus landed in Cuba in a place he named Porto Santo. 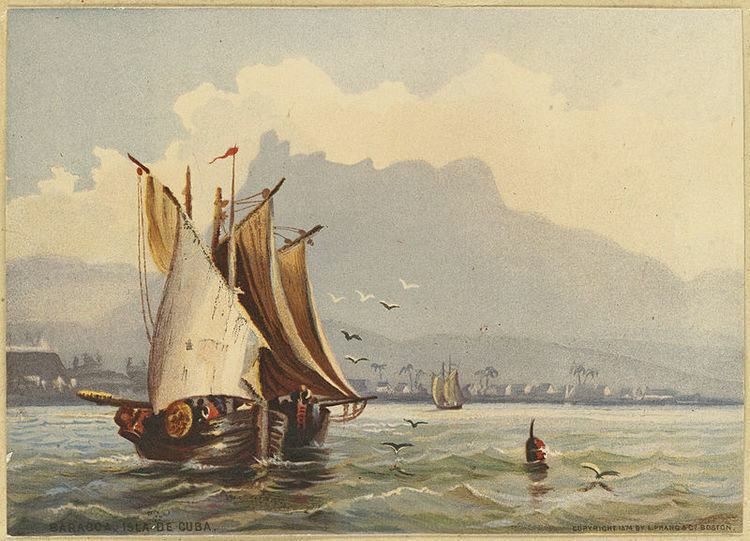 It is generally assumed from his description that this was Baracoa, although there are also claims it was Gibara. But Columbus also described a nearby table mountain, which is almost certainly nearby El Yunque. He wrote in his logbook "the most beautiful place in the world ...I heard the birds sing that they will never ever leave this place...". According to tradition, Columbus put a cross called Cruz de la Parra in the sands of what would later become Baracoa harbor. Around 15 August 1511 (the official foundation day) Diego Velázquez de Cuéllar was appointed the first governor of Cuba and built a villa here and named the place 'Nuestra Señora de la Asunción de Baracoa', thus making Baracoa the first capital of Cuba. In 1518 it received the title of city and the first Cuban bishop was appointed here. As a result, several remains of the Spanish occupation can still be seen here, such as the fortifications El Castillo, Matachín and La Punta and the cemetery. In the 16th and 17th centuries the isolated location made it a haven for illegal trade with the French and English. At the beginning of the 19th century many French fled here from the revolution of independence in Haiti, who started growing coffee and cocoa. From the middle of the 19th century many expeditions of independence fighters landed here (including Antonio Maceo and José Martí) which greatly helped the independence from Spain in 1902. Before the Cuban Revolution the only access was by sea, but in the 1960s a 120-kilometre-long (75 mi) road from Guantánamo named La Farola was built through the mountains, which was one of the showcases of the revolution. The road had already been planned by the Batista government, but never got built. The highest point of the road is at over 600 m and it passes over 11 bridges. The main products in the region are banana, coconut and cacao. It is Cuba's main chocolate manufacturing area. The remote location at the eastern end of the Cuban island has kept the influence of mass tourism quite low, despite the idyllic location. Baracoa can be reached by bus from Santiago de Cuba (four hours) or by plane from Havana (two hours). To the east the Fuerte Matachín (built in 1802) is still standing and contains houses and museums. To the west the Fuerte La Punta (built in 1803) houses a restaurant; there is a small beach next to the fort. The third fort, El Castillo, which sits on a steep hill with a commanding view of the town and both bays, is now Hotel El Castillo. The other hotels in Baracoa are Hotel Porto Santo, Hotel La Rusa, Hostal La Habanera and Villa Maguana. There are also a few casas particulares. The Catedral Nuestra Señora de la Asunción houses the earings of the Cruz de la Parra, a cross that Cali is supposed to have brought from Spain. Although it has been carbon dated to approximately that period, it is made from a local type of wood, which means at least part of the story is not correct. The 575-metre-high (1,886 ft) table mountain el Yunque (the anvil) is 10 km to the west of Baracoa. It is a remnant of a plateau and because of its isolation it houses several unique species of ferns and palms. The only official and easiest approach to climb it starts at campismo El Yunque (simple lodgings for Cubans only), where a guide is obligatory (about 15 euro). Baracoa has some very typical dishes, such as cucurucho, a mix of coconut and lots of sugar and other ingredients like orange, guava and pineapple and wrapped in a palm leaf. Another is Bacán, which is made from bananas and wrapped in a banana leaf. And of course there is lots of chocolate in this cocoa producing region. In 2004, the municipality of Baracoa had a population of 81,794. With a total area of 977 km2 (377 sq mi), it has a population density of 83.7/km2 (217/sq mi). Baracoa is the eastern end of Carretera Central, a highway spanning the length of the island of Cuba for 1,435 km, that ends in the village of La Fé, Pinar del Río Province. Gustavo Rizo Airport (IATA: BCA, ICAO: MUBA) is a regional airport that serves this town. This is a small airport that usually operates with national flights. Located west of the bay near the Hotel Porto Santo and about 4 km (2½ miles) NNW of Baracoa. Although flights are infrequent, Cubana de Aviación flies here occasionally from Santiago de Cuba and Havana, and the fare is very reasonable. Cuban artist Pablo Borges Delgado was born in Baracoa.